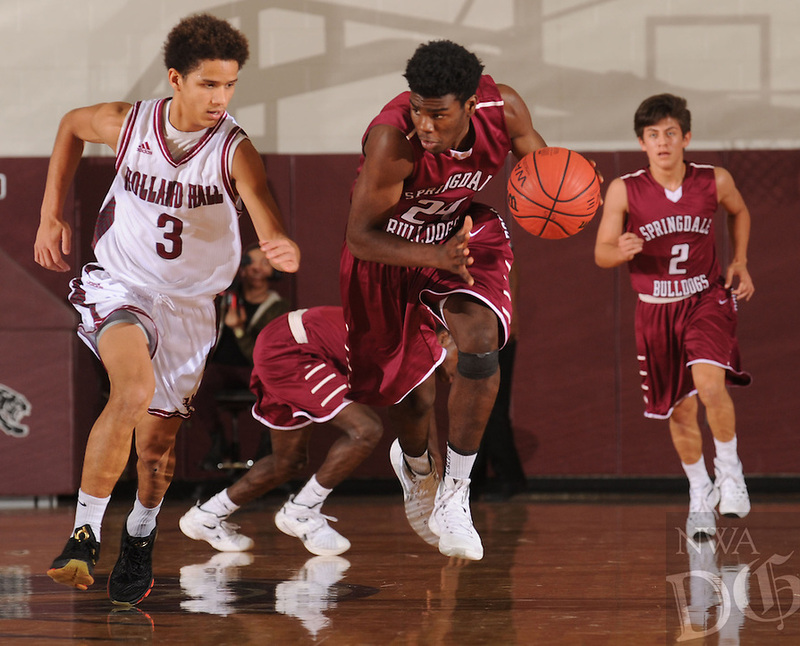 Towayne Bobo (center) of Springdale steals the ball away from C.J. Thompson (3) of Tulsa (Okla.) Holland Hall Tuesday. Dec. 29, 2015, during the first half at Siloam Springs High School. Visit nwadg.com/photos to see more photographs from the game.